Find a vacation home to rent in Agdenes Municipality from our list of vacation rental properties. Campaya has over 8 vacation homes available in Agdenes Municipality, which give you the possibility to locate a unique accommodation in Agdenes Municipality which completes your check-list in search for the perfect self catering vacation apartments in Agdenes Municipality or vacation villas in Agdenes Municipality. 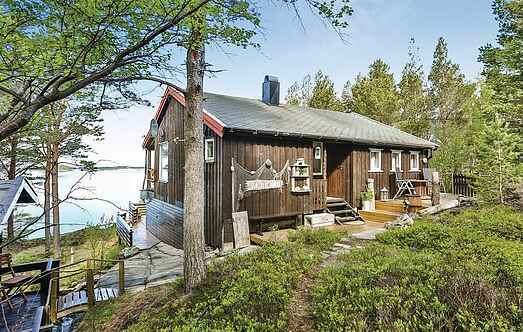 Welcome to a holiday home in beautiful surroundings in Værrafjorden. Here you can enjoy the silence and the lovely panoramic view over the fjord and nordic nature. This is a very cosy and comfortable holiday home equipped with large garden. The beautiful natural surroundings provide a pleasant view over the Trondheimsfjord from the property. This is a cosy holiday apartment in a motel in Selva. Go fishing from the quay, in the proximity. Enjoy walking on the trails in the surrounding. Supermarket and cafes are nearby.